Burger lovers, get ready for a brawl. Two L.A. burger masters—Andre Guerrero of The Oinkster and Ryan Harkins from Grill ‘Em All—will be going head to head for Clash of the Burger Titans. The four-hour throwdown will go down at Eagle Rock Public House on Father’s Day, and the winner doesn’t just get bragging rights—he also gets his creation featured in the loser’s restaurant for a whole month. Though the two chefs are good friends (Grill ‘Em All has been a feature of The Oinkster’s famous Burger Week many times), Guerrero and Harkins are taking the competition seriously and going for the win. Both are developing their entrees while staying tight lipped about ingredients and details. 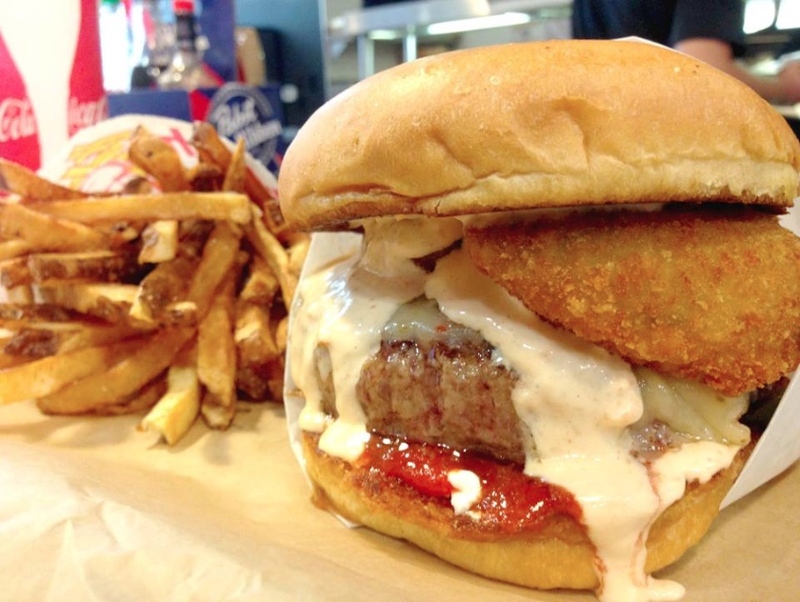 Grill ‘Em All’s Napalm Death Burger with pepperjack, pickled jalapeno, cream cheese, jalapeno poppers, and habanero aioli. 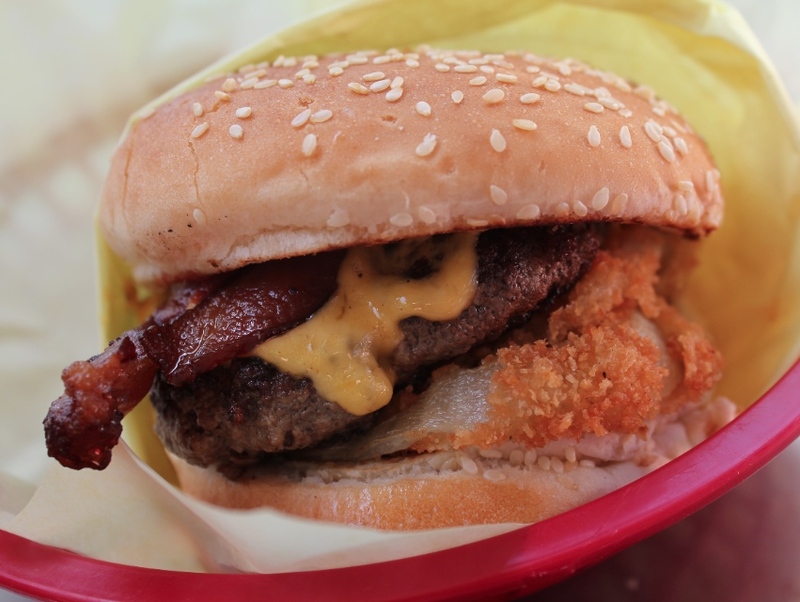 For his part, Guerrero is banking on Harkins opting for a wild-style approach à la Grill ‘Em All’s signature Behemoth Burger, which is essentially a bacon cheese burger between two full-size grilled cheese sandwiches, or the Napalm Death Burger topped with jalapeno poppers. Customers will determine the winner with their votes on the day of the throwdown. As an added bonus, Eagle Rock Brewery will be introducing a special Father’s Day beer at the competition while Public House chef Jerry Su will be providing the sides. Eagle Rock Public House, 1627 Colorado Blvd, 323-731-0081. The Clash of the Burger Titans takes place on June 21, from 11:00 a.m.-3:00 p.m. No tickets for the event. Just show up, eat, and vote.